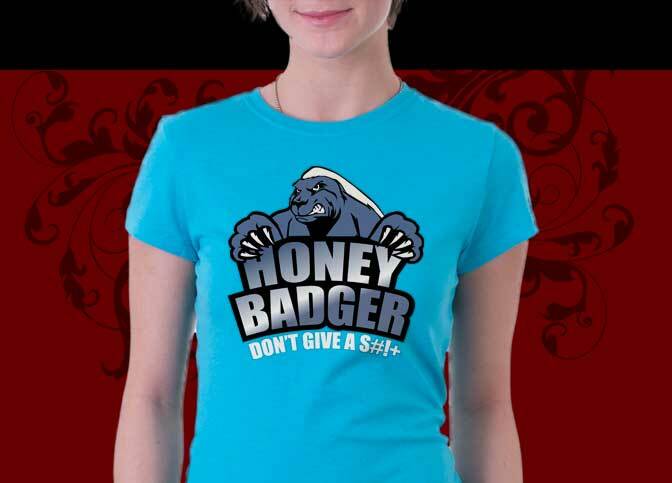 My Honey Badger Shirt design features a funny line from Randall's narration of the megahit YouTube video, "Crazy Nastyass Honey Badger" (seen below). Honey Badger Don't Care. Honey Badger Don't Give A S#!+. A ferocious Honey Badger illustration tops the title of the design and makes for an attractive and hilarious memorabilia tee shirt that you will loive. I have lots of cool shirt styles and colors available for this design and sizes to fit everyone in the family!